The George Harrison Fund for UNICEF is a joint undertaking between the Harrison family and UNICEF USA to support UNICEF programs that provide lifesaving assistance to children, including health, education, nutrition and emergency relief. While forever linked with Bangladesh, the Fund today supports UNICEF programs around the world. Over nearly half a century, the fund has helped children in countries like Angola, Romania, India, Haiti and Brazil. 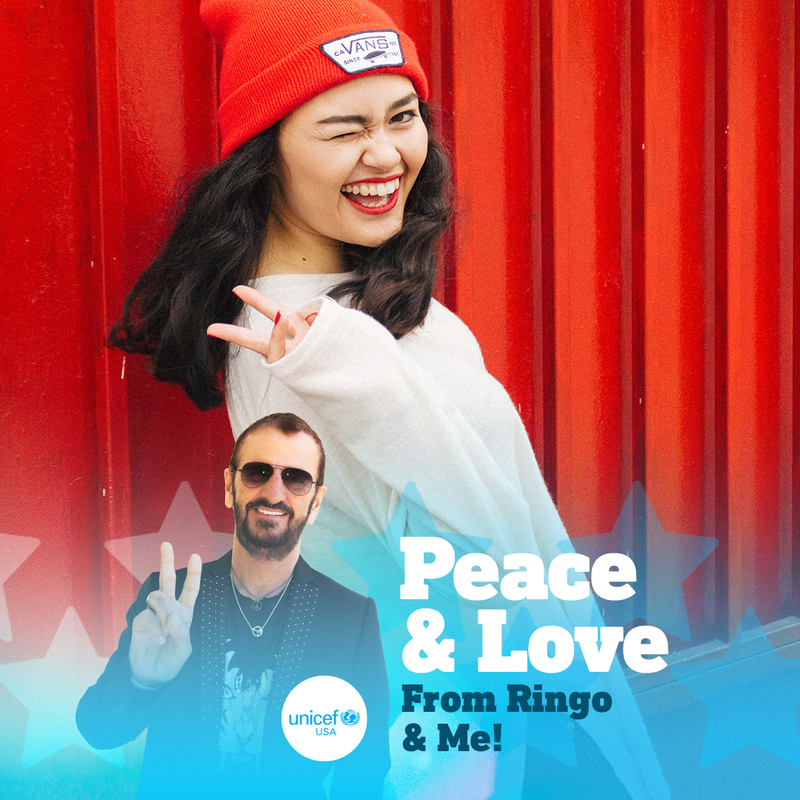 This giving season, George's fellow Beatle Sir Ringo Starr is asking UNICEF supporters to join him in supporting the George Harrison Fund for UNICEF. As little as a $10 donation can make a big difference to children in need. To show your support — and help Ringo spread positivity and honor George’s memory — donate now, then add the Ringo and Me Facebook frame to your Facebook profile picture — and tag your friends! Spread peace and love with the Ringo & Me Facebook Frame here with one click. 1. Make a $10 donation to the George Harrison Fund for UNICEF. 2. Take a selfie, making a peace sign. 3. Make it your Facebook profile. 4. Choose the Ringo & Me Frame. 5. Spread the love—tag 2 friends. In 1971 Ravi Shankar asked his friend George Harrison to help his country, which was suffering from the effects of floods, famine and civil war. The resulting Concert for Bangladesh was the first major music benefit concert for a humanitarian cause, raising much needed funding and awareness for UNICEF in Bangladesh. Learn more about The George Harrison Fund for UNICEF. Help spread peace and love today. Support The George Harrison Fund for UNICEF.